MIAMI, Fla. (KABC) -- University of Miami doctors were faced with an ethical dilemma when an unconscious man with a "do not resuscitate" chest tattoo appeared in their emergency room. The case study was published Thursday in the New England Journal of Medicine. The 70-year-old man had a history of chronic obstructive pulmonary disease, diabetes and an elevated blood alcohol level at the time. 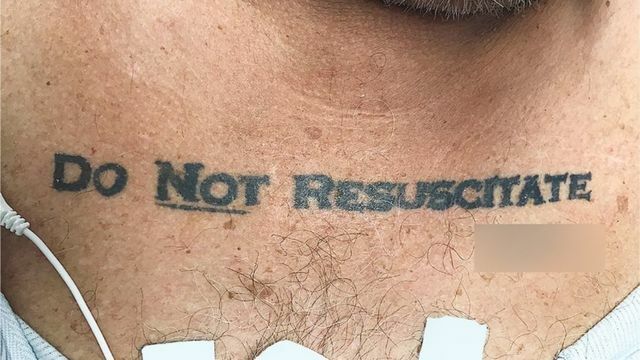 Emergency room doctors treating the patient began lifesaving efforts until they noticed his chest tattoo that read "do not resuscitate," accompanied by his presumed signature. University of Miami doctors were faced with an ethical dilemma when an unconscious man with a "Do Not Resuscitate" chest tattoo appeared in their emergency room. The doctors stated, "We initially decided not to honor the tattoo, invoking the principle of not choosing an irreversible path when faced with uncertainty." 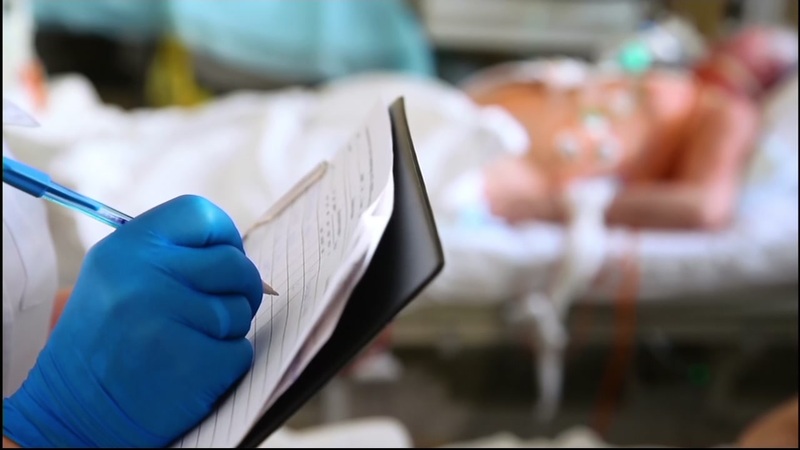 But after the patient's health deteriorated throughout the night, he died without undergoing resuscitation.